AC Milan players decided to put a spin on their pre-match preparations by performing their version of the haka. 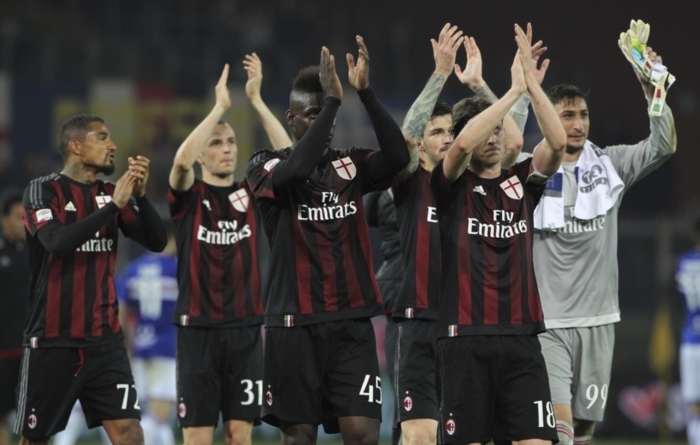 Milan took on Carpi in a Serie A match at the San Siro on Thursday evening. The Milan players stood inside the penalty box with Carpi’s starting XI just outside the box watching on. The war cry was made popular by the New Zealand rugby team. It is not clear why the side decided to give there rendition of it, however, a hashtag in a tweet from the club’s official account suggest that it might have had something to do with the club’s new sponsorship deal with skin care manufacture Nivea.